San Francisco public school leaders desperately want and need people like 22-year-old Tina Yang. She was born and raised in the city, and knew she wanted to be a teacher when she was 5 years old. Yang just graduated with a degree in education from San Jose State University. The San Francisco Unified School District quickly snatched her up for its teacher residency program, designed to get former students into the teaching profession. 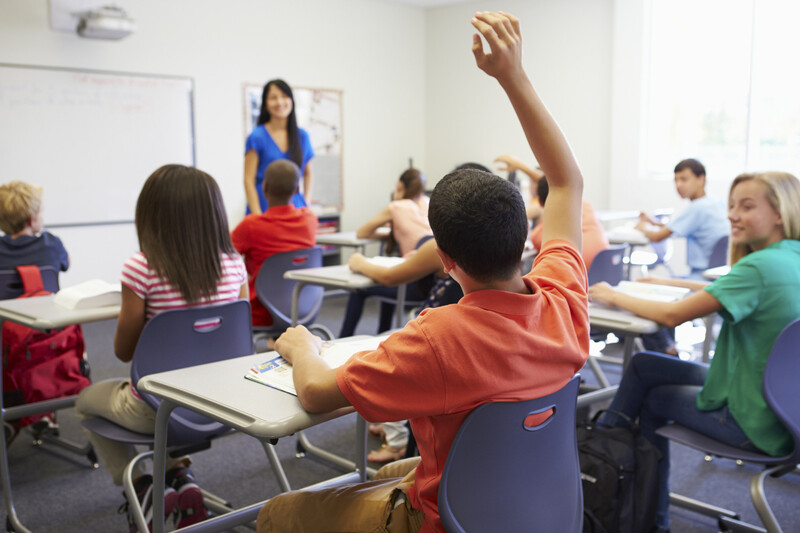 A student raises his hand in class. It’s one of several unconventional ways the district is trying to build its own pipeline of homegrown teachers in the midst of a national teacher shortage.